Presentation of the Petition for the Cause of Father William Atkinson, O.S.A. Joeseph Sciberras, O.S.A., Postulator General of the Oder of Saint Augustine, Charles Chaput, O.F.M. Cap., Archbishop of Philadelphia, and Michael Di Gregorio, O.S.A., Prior Provincial of the Province of Saint Thomas of Villanova. On the 15th of September 2015 the Supplex libellus for the cause of Fr. William Atkinson, O.S.A., was presented to the Archbishop of Philadelphia, Msgr. Charles J. Chaput, OFM cap. With this first step, a formal request was made in order to begin the cause of beatification and canonization of Fr. William Atkinson, religious priest of the Order of St. Augustine. Msgr. 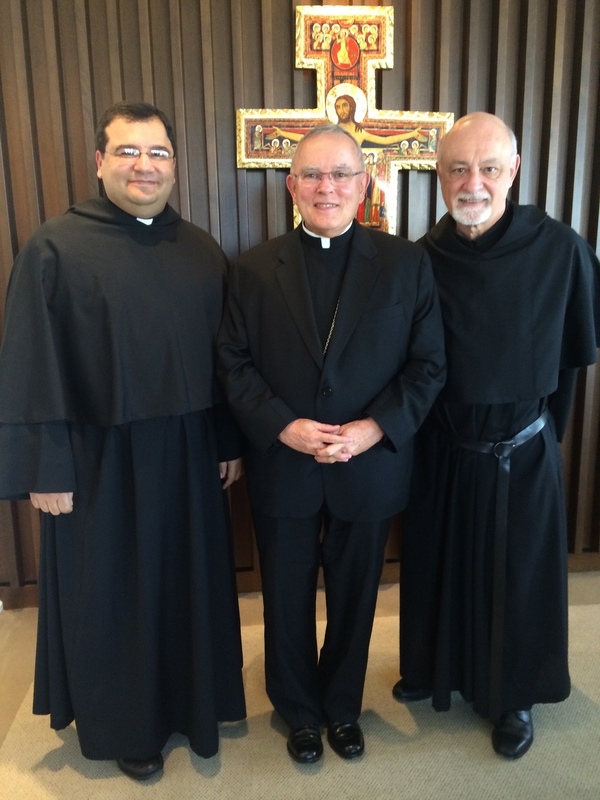 Chaput welcomed positively the request, noticing, amongst other things, that Fr. Atkinson died in 2006 on that very same day. The Postulator General was accompanied by Rev. Fr. Michael Di Gregorio, Prior Provincial of the Province of St. Thomas of Villanova.